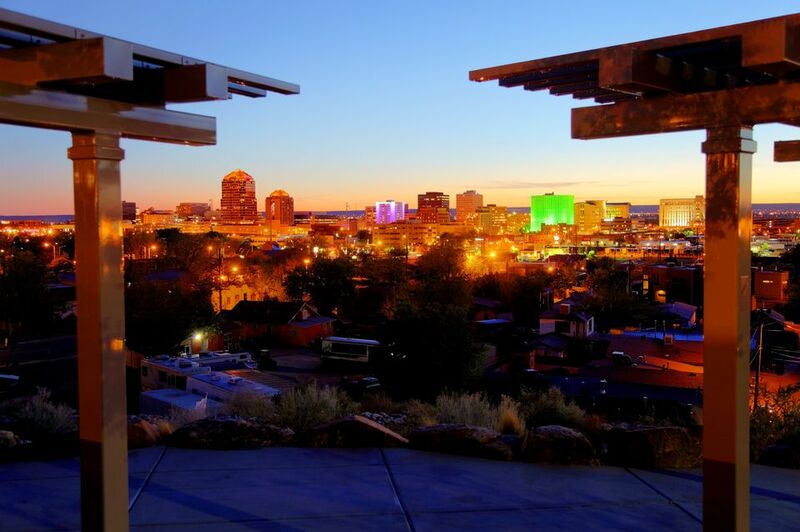 Albuquerque has a lot to offer in the way of breakfast restaurants. Whether you're on the lookout for a great cup of Joe or sniffing out the best breakfast burrito, there are a number of local favorites. Here's a sampling of some popular places, from inexpensive to top of the line. Whether it's a waffle, a full plate of huevos rancheros or just a burrito to go, you'll find it here. There's also some chains for those who like familiar food. There are compelling reasons why locals have filled the seats here since 1978. The red chile sauce and the huevos rancheros are just right. The green chile stew is too. But more than anything, the friendly staff of this downtown establishment makes every diner feel at home. Open for breakfast and lunch. Socrates was a classic and so was Aristotle. But for Albuquerque, nothing says classic like the Frontier. University students love the modest prices. Families love the fresh orange juice and cinnamon rolls. It's all made from scratch, whether you're there for the chopped green chile or the tortillas, which you can get by the dozen. And with the John Wayne décor, it's like stepping into another world. Or if you're looking for something on the go, try the burritos at any of the Frontier's Golden Pride locations. The smaller version of the Flying Star offers the same good coffee and a variety of food to go. The Graburrito is a favorite; try it with a salsa side. There are also bagels and scones, the usual latte, and best of all, the Frequent Flyer card keeps you in the black with the occasional free cupp'a Joe. Satellite Coffee has various locations around the city. Le Peep touts itself as "the place to meet," and it is, with a loyal crowd of customers returning regularly, especially for their weekend brunch. Their Eggs Benedict is outstanding, with poached eggs, a ham steak, and Hollandaise sauce. There's even a vegetarian version with spinach, and other lighter fare is no problem. You're looking for a place to go with that tub of rollicking kids, the visiting out of towners and Aunty May. Mannie's has something to make everyone happy, from pancakes for the kids to that old fashioned cup of never empty coffee. The service is always good. Best of all, it's lighter on the pocket than some places. There are bright pictures on the walls by local artists, which are always changing, a solid wait staff that keeps the food coming at a rapid pace, and best of all, it won't break the bank. The Egg & I is a popular chain, and now Albuquerque has its own franchise. They offer lunch as well as breakfast. They offer whole wheat pancakes, French toast, waffles, a wide variety of egg dishes, and specialties such as cholesterol free eggs. The breakfasts at the Grove are fresh and inventive, and the atmosphere makes you feel you are in New York City. There's plenty of light and open space. The friendly staff serves up some of the best pastries and pancakes in the city. Try the breakfast burrito with goat cheese, and be sure to save room for one of their signature cupcakes, which are always delicious. The Range says it does ordinary food extraordinarily well, and it's true. They do. Some folks swear the best huevos rancheros in town can be found here. There are now three locations. The original in Bernalillo still stands, but if you're in Albuquerque, you have two options. Try the new larger location at Wyoming and Montgomery (across the street from their old site), or visit the one on Menaul, near the freeway and University. Be forewarned, though, you might bump into one of your old professors, as this is a favorite haunt for UNM staff. Tia B's specializes in waffles and has a rotating menu of specials. In addition to your usual breakfast waffles, they have blue corn chicken fajita waffles, the waffle breakfast sandwich, country fried chicken and waffles, biscuits and gravy waffles and the browned butter bourbon/fried banana waffle. The varieties are numerous and the portions are huge, so bring your appetite. Tia Betty Blue's offers house-made chili, tamales, and posole. They also have vegetarian, vegan and gluten-free options. They have a breakfast bowl, breakfast enchiladas, tacos, burritos, and huevos. They also specialize in waffles and on weekends have a veggie hash plate and French toast. Weck's has had a "full belly tradition" since 1991, and each location maintains a brisk business. Plates come piled with food, but somehow, I manage to always get through it. It must be because it tastes so so good. Don't go, though, unless you wake up hungry.